It's back! After a well earned break the Fodder returns and what a way to resume than with a brand new track from The Blanche Hudson Weekend who's new album "How Many Times Have You Let Me Die" has been hotly anticipated in my house and has more than delivered the goods. 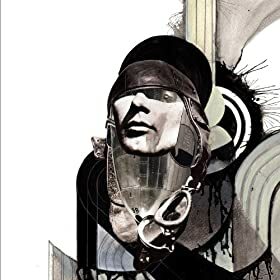 Also included in this fine volume is a track from the new Sightings album which seems to have taken up residence on my ipod. A serious contender for album of the year is the second album from The Blanche Hudson Weekend which is available now on Odd Box records. You had better be a bit lively though because there are only 500 CD's and 100 cassette's out there and believe me you will kick yourself if you miss this one. This E.P. has given me so much pleasure over the last couple of weeks. Ok it may not sound particularly new but the songs are just so good, and it's free to download from their Bandcamp site where you can also download their previous E.P. which is I can assure you just as good. This is the lead track on the superb new E.P. from San Diego band Tape Deck Mountain. It's called "Slow Salvation" and I have a feeling I may have featured this track in a previous Fodder but then again if that is thje case it's well worth another listen. "Slow Salvation" was issued last month on the Lefse label. Taken from the lovely three track E.P. "Birth Body" which is available now on Svetlana Industries. 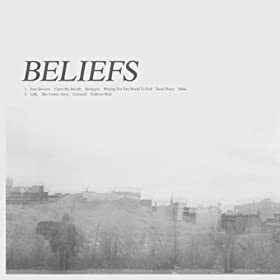 I know this track was originally released towards the end of last year as a single but it now also appears on the self-titled debut album from Beliefs which was released a few weeks ago and has been played in my house pretty much every day since. 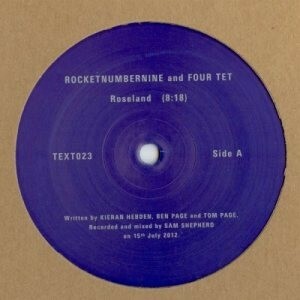 This is one of two tracks on a new 12" on Kieran Hebden's Text label. As you've probably already detacted it's a collaboration between Rocketnumbernine and Four Tet and sounds pretty damn spectacular. Fantastic new single from The Bynars which gives us a first taste of their forthcoming album "X Vs X" which will be released at some point in the future. It's probably not too late to mention their gig at Great Scott in Allston, MA on 24th April which will be a celebration of the release of this single. This is the a-side of a new seven inch asingle in Cork lab;e Art For Blind. 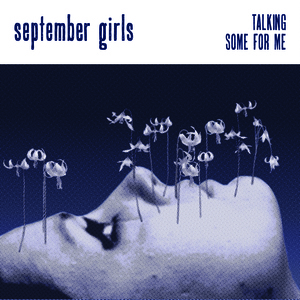 It's the third release from Dublin five piece September Girls and I'm pretty sure I don't have the previous two which if their anywhere near as good as this need tracking down at once. According to the Art For Blind website you can't order the single just yet but it shouldn't be long. Taken from the eighth album from New York band Sightings. It's called "Terribly Well" and is available now through Dais Records limited to 500 copies. The House Of Love are the latest in a seemingly unending line of old bands releasing new records after a ridiculously long time. Usually this policy ends in disaster but this year has seen couple of bands buck that trend. First of all My Bloody Valentine delivered a masterpiece after twenty odd years in the wilderness (they probably weren't but I like the thought of them wandering over deserted moorlands for years on end feasting only on the decomposing remains of sheep which have perished as a result of being stupid, sheep are famous for being stupid.). 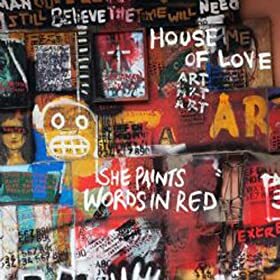 And now we have the return of The House Of Love with their new album "She Paint's Words In Red" which may not be a masterpiece but is without doubt a decent listen, so you should. Cherry Red Records incidentally will also be releasing the new album by The Fall on 13th May. It's called "Re-Mit" and I have an uncomfortable feeling that I'm up in Aberdeen that week so will have to hope for an advance copy... please. This is the new single from Scandinavia which will be released on 20th April in celeberation of Record Store Day. "The genesis of the song came with the news that HMV was entering administration in early 2013. Like all big businesses, HMV was both a blessing and a curse - convenient and accessible, but community-less and purely commercial. We wanted to capture our feelings of ambiguity about its expected demise, while revelling in the nostalgia of being a teenage record buyer with a big list of records we wanted to buy but limited funds with which to do so." We will finish this week with some fuzzed up wonderment from the latest release by The KVB. It's an album called "Immaterial Visions" which has just been released on by Cititrax which I believe is part of Minimal Wave Records.